Teach and practice fire safety in your home. Keep matches and lighters out of reach and sight, preferably in a secured cabinet. Teach children to tell an adult when they find matches and lighters. Remember that even child-resistant lighters are not childproof, and store them safely. Never use matches or lighters as amusement. Children watch and often imitate adults. October is Fire Prevention Month. Local fire departments reach out to K-5 classrooms with safety education programs. Teach children to get out quickly and call 9-1-1 for help from another location. Show children how to crawl low on the floor, below the smoke, to get out of the house and stay out. Teach them to never run if their clothes catch on fire and demonstrate how to “STOP, DROP, & ROLL”. 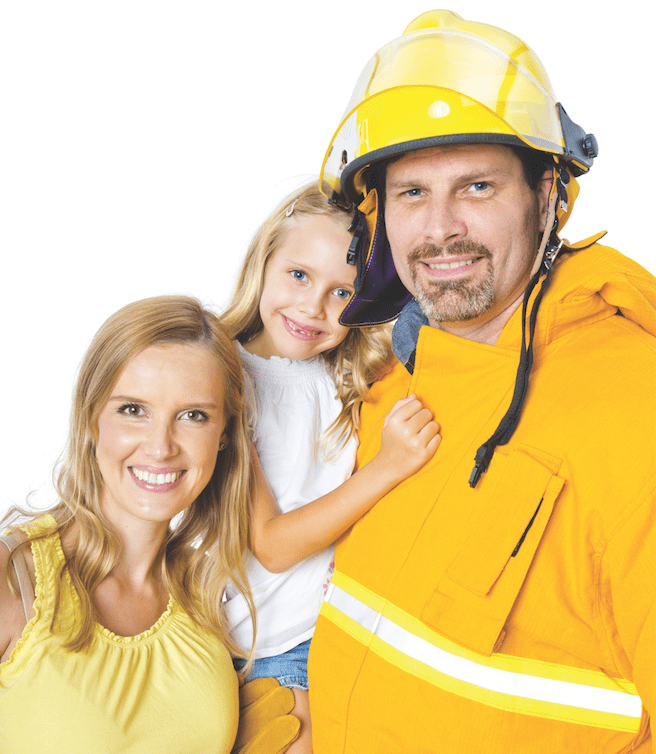 Install smoke alarms on every level in your home and familiarize children with their sound. Test the smoke alarm monthly and replace batteries at least twice a year. Helpful Hint: Change the batteries when you change your clocks in the spring and fall. may need to practice a fire escape plan often. It could mean the difference between life and death. Diagram your home, and plan two routes out of each room. Consider various fire scenarios. Develop an escape plan for a safe escape in each scenario. Pick a place outside to meet that is easy to remember. Practice regularly—at least twice a year, more often is better. Include a strategy for times when one parent is out of the home, too. Include a home fire drill to put your fire safety plan into practice. Keep a baby wrap by the crib in case of emergencies. The wrap, worn like a body brace, allows you to comfortably carry your baby and leave your hands free to escape the home. Keep your child’s bedroom door closed. If a hallway fire occurs, a closed door will hinder smoke from overpowering your baby or toddler, giving firefighters extra time for rescue. 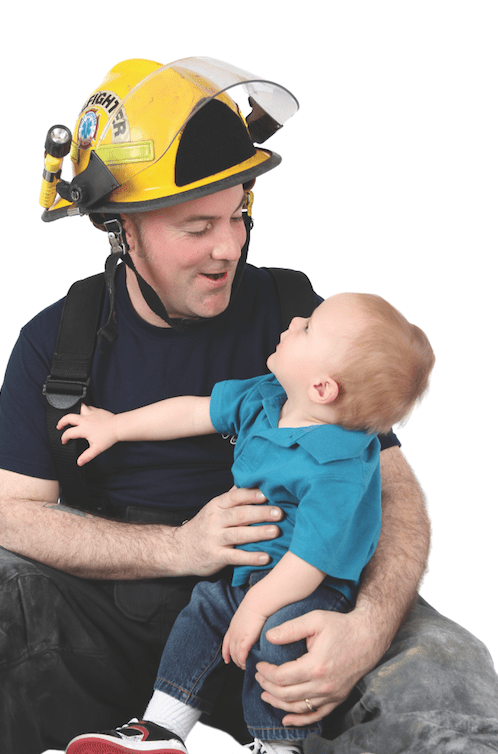 Teach toddlers not to hide from firefighters. Uniforms can be scary in times of crisis. Teach children that firefighters are there to help in an emergency.